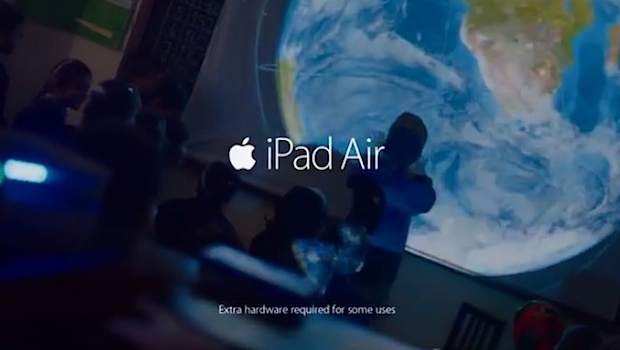 Apple has crafted two new iPad Air ads based upon the original “Your Verse Anthem” TV commercial that started running recently. The new commercials are 30 second spots, with different imagery that centers around a theme of either light or sound, both of which feature shorter voice narration from the 80’s movie Dead Poet’s Society. Apple typically debuts new commercials on Sundays, but since these are just spin-offs of an existing ad they will likely begin airing on television networks immediately. Heads up to MacRumors for noticing the new commercials first.